A sense of continuity is very important to an educational institution. One important element of that continuity is the participation of retired faculty members in the life of the University. They provide a source of wisdom about the experiences that led to the present, and this becomes one element in determining the future direction of the University. Western University of Health Sciences, COMP promotes participation of its retired faculty members by granting the title of Emeritus/a Professor to those retired faculty members who have distinguished themselves in service to the University and particularly COMP. Dr. Gerald Bales came to the College of Osteopathic Medicine of the Pacific in July of 1996. He received his B.A. and M.A. in Biological Sciences from California State University in Chico, CA. Dr. Bales entered the PhD Program in the department of Anatomy and Cell Biology at the University of Southern California in 1987, just in time to watch Dr. Craig Kuehn give his defense of dissertation. He completed his doctorate in 1995, and took on a few other jobs before starting to work at COMP. Initially, Dr. Bales lectured in Gross Anatomy, and some labs in Histology and Neuroanatomy. Gerald Bales had a keen intellect and always was seeking ways to expand on his abilities. When the position of primary Neuroanatomist became open, Dr. Bales was quick to fill in as the department’s specialist in that area. He was bright and had a talent for creating well-organized lectures which were well known to expertly detail the principal regional anatomy, and always made clinical associations a part of his teaching. Over the years, he participated in various committees including the Student Performance, Admissions and Faculty Computer Advisory Committees. He occasionally performed with the student theater troop SANUS during his early years at the University. Dr. Bales had a passion for Rhinoceroses, and was active in research using biometrics on rhino skulls. In 2018, after 22 years of commitment to teaching, Dr. Bales left a big hole in the Anatomy department when he retired from COMP. He will be remembered for his contributions. Dr. Jeffrey Felton came to COMP in 1993 from the University of California, San Francisco. While at UCSF he performed research on Bacterial Pathogenesis, received funding from NIH, and published research articles in Nature, Science, NEJM, and other peer-reviewed journals. Dr. Felton is a member of the Parsons High School Hall of Fame. He received the S.B. degree from MIT in 1971 and the Ph.D. from Tufts University School of Medicine in 1981. His postdoctoral studies were performed at Harvard Medical School. At COMP he was tenured in 1998, was promoted to the rank of Professor of Microbiology in 2000. Dr. Felton was a founding member of the Editorial Board of BioTechniques in 1982 and still serves on its Board at present. Dr. Felton taught microbiology to the DO and PA students from 1993 until 2016. He established the IDIT course in 2006 and served as course director for several years. At COMP Dr. Felton served on the Admissions Committee, Curriculum Committee, Student Conduct Committee, Awards Committee, Research Committee, Grievance Committee, Promotion & Tenure Committee, and on several Search Committees. He also served as Chair of the COMP Faculty Assembly for several years. He received the COMP Distinguished Faculty Award for Leadership and Service in 2015. He established the WUHS Institutional Biosafety Committee in 2002 and served as its Chairman until 2015. After 23 years of outstanding contribution to WesternU and COMP Jeffrey Felton retired in 2016. Dr. Duane Foley began at COMP in 1984 as an Associate Professor of Physiology, after previously teaching physiology at Ohio University College of Osteopathic Medicine for six years. He received his B.S. degree in Biological Sciences (1969) and PhD degree in Physiology (1975) from the University of California, Davis. Dr. Foley was a Postdoctoral Fellow in the Department of Physiology at the University of Virginia, School of Medicine from 1975 to 1978. The major areas of his interest and research were the physiology of the cardiovascular system, the coronary circulation, vascular smooth muscle, the mechanisms of control of blood flow, and hypertension. Dr. Foley was awarded tenure at COMP in 1986 and was promoted to Professor in 1992. He has taught numerous topics in cardiovascular, renal, respiratory, muscle and autonomic nervous system physiology. In 2016-2018, he also took on several topics in the Behavioral Medicine and Psychiatry course. The Outstanding Basic Science Faculty award has been bestowed on Dr. Foley seven times by COMP students over the years. In addition to lecturing, he has also served as Course Coordinator for the Cardiovascular System and the Gastrointestinal and Nutrition System courses. During his time at COMP he served on numerous committees, including DO Program Admissions Committee, Student Performance Committee and Promotion and Tenure Committee. After 34 years of dedication and service to COMP and WesternU, Dr. Foley retired in 2018. Dr. Foley enjoys visiting the Northern California coast, walking on the beaches and seal, sea lion and whale watching. Dr. Grunden came to the College of Osteopathic Medicine of the Pacific (COMP) as an Associate Professor of Pharmacology in 1980 from the Kansas City College of Osteopathic Medicine. He came to COMP with his wife Vidalita Grunden, M.D. Dr. Grunden received his Bachelor’s degree from Oregon State University and Doctorate from the University of California, San Francisco Medical Center. From 1981 to 1985 and from 1988 to 1998 he served as the Pharmacology Discipline Leader. In 1984 he was promoted at COMP to Professor of Pharmacology. In 1985 he was appointed Assistant Dean of Basic Sciences. In 1988 he returned to full time teaching. During his time at COMP Dr. Grunden chaired the Faculty Council three times and served on many faculty committees. The National Board of Osteopathic Medical Examiners appointed him for several COMLEX committees between 1984 and 1994. Dr. Grunden received a Student Body Basic Science Teaching Award from his student in recognition of his love of teaching and was twice recognized by faculty with an Excellence in Teaching Award. He also received a “special recognition award” from SOMA & the Student DOctor in 1994 for his five years of writing the “Pharmacology Update” section of the publication, “Student DOctor”. Dr. Grunden retired in 1998. Drs. Grunden have a son and a daughter. 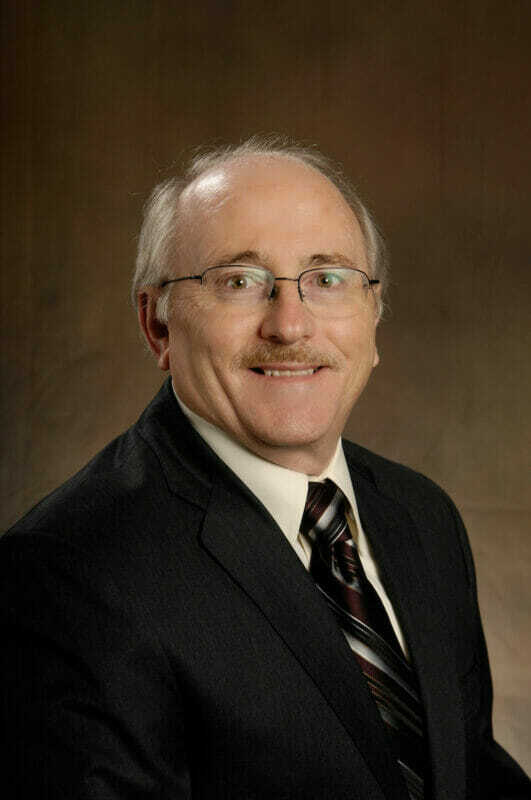 Dr. Grunden came to the College of Osteopathic Medicine of the Pacific (COMP) as an Associate Professor of Pathology in 1980 from the Kansas City College of Osteopathic Medicine. She came to COMP with her husband Lee Grunden, Ph.D. Dr. Grunden received her medical degree from the University of Santo Tomas in the Philippines, completed her residency in Pathology at the University of Kansas Medical Center and a fellowship in Clinical Pathology at Bergen Pines Community Hospital. She served as the Pathology Discipline Leader from 1981 to 1993. Dr. Grunden retired in 1993. Dr. Grunden was proud of building COMP’s pathology museum and laboratory. Drs. Grunden have a son and a daughter. Dr. Martin was hired at the College of Osteopathic Medicine of the Pacific (COMP) in 1986 as an assistant professor and was promoted to Professor in 1993. Dr. Martin received his A.B at Western Virginia University, and his M.S. at the University of Connecticut. After studying with Nobel Laureate Konrad Lorenz on animal behavior, he received his Dr.rer.nat. at the University of Munich, Germany. During his tenure at COMP, Dr. Martin taught courses in Neuroscience, Behavioral Science and Human Sexuality. He spent much of his time with research on hormones, the brain and behavior development; biological aspects of sexual orientation; and anatomical correlates of early hormone exposure. Dr. Martin was well known for mentoring students, including them in his many research projects. Some of his pet passions included growing dragon fruit, writing letters to the editors of newspapers and travel abroad. His COMP and University service included chairing the IACUC and WesternU Research Committees, membership on the IRB and organizing the COMP Seminar Series. Dr. Martin retired from COMP in 2014 after 28 years of dedication and service to WesternU. Dr. Oglesby came to the College of Osteopathic Medicine of the Pacific (COMP) in 1979 as a part-time instructor and was appointed Assistant Professor of Microbiology in 1982. She received her B.S. from the University of Oklahoma, M.S. from the University of Kansas and Ph.D. from the University of California, Berkeley. In 1993 she was promoted to Professor of Microbiology. Dr. Oglesby was chair of several committees at COMP including the Faculty Council from 1985 to 1986, Student Promotion from 1989 to 1998, and Financial Aid from 1986 to 1996. For a number of years she was the faculty advisor for Delta Omega, the sorority for women osteopathic medical students. Students in 1984 and 1988 presented her with Outstanding Basic Teaching Award, and the faculty selected her for the Excellence in Teaching Award in 1992 and 1995. She was particularly interested in HIV and AIDS. In 1990-1991 she reviewed manuscripts for books on AIDS for McGraw Hill Publishing Co. Between 1988 and 1992, she gave guest seminars on AIDS at Pomona College and California Polytechnic University, Pomona and in various other locations for the American Red Cross. One of her favorite student related activities was playing Mrs. Santa Claus at the annual “Santa’s Workshop”. Dr. Oglesby and her husband Larry have two sons. Dr. Sugerman came to the College of Osteopathic Medicine of the Pacific as an Assistant Professor in 1980 from Wichita State University to specifically teach neuroanatomy lectures and laboratories. In 1984 he was promoted to Associate Professor, in 1992 Professor of Anatomy, and 2011 Professor of Anatomy, Emeritus. He earned his B.A. in Zoology at San Diego State University in 1967. At the University of New Mexico he earned his M.S. in Biology in 1971 and Ph.D. in Biology in 1975. At COMP/WesternU he had been Chairman, Department of Anatomy, Assistant Dean for Basic Science and Research, Director, and Executive Vice President for Academic Program Development (and assisted in starting the Dental, Optometry, Podiatry and Biomedical Science colleges). Currently he is Director of Service Learning Projects for three colleges. Special academic interests include neural correlates of behavior in reptiles, computer/video assisted instruction, interprofessional education, and community service. He was chairman during his tenure of numerous College and University committees. He has written over 33 research articles/neuroanatomy book chapters and written/cited in 23 abstracts. He married Beverly (Katz) in 1972 and they have two children Benjamin and Rachel. Dr. Sugerman retired with the rank of Major from the United States Army Reserve, Medical Service Corps in 1995 after 27 years of service. Dr. Wong came to the College of Osteopathic Medicine of the Pacific (COMP) as an Assistant Professor of Pharmacology in 1981 from West Virginia University Medical Center. Dr. Wong received his B.S., M.S. and Ph.D. degrees from the University of Wisconsin. He was promoted to Associate Professor in 1988 and to Professor in 1996. During his tenure at COMP, Dr. Wong was best known for over twenty years of service as the chair of the East West Scholarship Committee, which raised scholarship funds for the students of Western University during the annual fundraising dinner. He also served as the faculty advisor to the Asian American Health Professional Student Association, and helped to organize and supervise health screenings by medical and other health professional students in Asian communities, including Chinatown, Korean Town, Little Saigon and Monterey Park. A few additional COMP and University committees he served on included Admissions, Award, P&T and Radiation Safety Committee. After 32 years of commitment and service to WesternU, Dr. Wong retired from COMP in 2013. Dr. Younoszai came to the College of Osteopathic Medicine in 1979 as an Associate Professor of Anatomy from the University of Minnesota. He received his B.S. degree from the University of California, Berkeley in 1957 and Ph.D. in Anatomy in 1971 from the University of Minnesota. In 1986 he was promoted to Professor of Anatomy at COMP. He has been involved in Human Gross Anatomy course and started the Intensive Summer Anatomy Course in 1995. He was involved from the beginning with Pomona Community Health Action Team and the Pomona Homeless Outreach Project. He established the International Clinical Elective Rotation. He retired in 2008 and in that year received the Pumerantz Lifetime Fellowship of Excellence in Osteopathic Medical Education Award. He is presently Professor-Director of Community and International Health, Department of Social Medicine and Healthcare Leadership at COMP. Dr. Younoszai’s wife, Barbara, is a professor and taught Spanish and Latin American Studies and they have two sons. He has two immediate goals: to increase the endowment level for the Dr. Younoszai MSIV International Clinical Elective rotation Scholarship and have WesternU colleges pool their resources and provide quality interdisciplinary services opportunities. In April 2005 he competed in the Big Sur 20 mile power walk. Dr. James May began his long career at the College of Osteopathic Medicine of the Pacific (COMP) as an Associate Professor of Anatomy in 1981. James May received his B.S from California State College in 1965, his M.S. from Occidental College in 1970 and his Ph.D. from University of Southern California. Dr. May designed the software for the first computerized examination scoring system (Scantron) and some of the initial software for the Admissions, Registrar, and Clinical Rotation offices. He was promoted to Professor in 1987 and became Chair of Anatomy in 2003. As the first Chair of the Commencement Committee, starting in 1982 and continuing until his retirement, Dr. May was instrumental in designing COMP’s first commencement, and continued to transform our graduations to the current impressive ceremony. In 2007, he eliminated microscopes from the Histology laboratories and designed a Virtual Microscopy website whereby students could utilize the computer as a microscope for use in the histology laboratories. He served on a number of COMP and University committees including the Faculty Computer Advisory, Faculty Council, Promotion and Tenure, and Student Performance. James May was awarded the Pumerantz Lifelong Learning Teaching Innovation Award in 2012. After 36 years of outstanding service and commitment to WesternU/COMP, Dr. May retired from COMP in 2017. He passed away in May of 2018. He has left an indelible mark on the university; first through his design of the Commencement and Convocation ceremonies that he continued to participate in to the end, and second with his Histo Highlights program, which is still in use to this day. Dr. Nelson came to the College of Osteopathic Medicine of the Pacific (COMP) in 1979 as a Professor of Anatomy and Assistant Dean of Basic Sciences from Kansas City College of Osteopathic Medicine where he was Head of the Department of Anatomy. He served in COMP for 18 years. He earned his B.A. in Biology at Walla Walla College, M.S. in Entomology at the University of Michigan and Ph.D. in Human Anatomy at the University of Michigan. 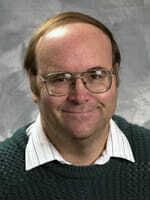 At COMP and Kansas City students voted him outstanding professor 10 times. In 1993 his faculty voted him Outstanding Basic Science Faculty. Dr. Nelson retired from COMP in 1997, but continued his research and teaching of human anatomy. Dr. Nelson’s research involved a life-time study of wood-boring beetles. He published over 70 plus papers on beetles and was considered a world expert. He belonged to several professional organizations and served on a number of major College committees. Dr. Nelson was married his wife Jean and was the father of five children. In his spare time he enjoyed singing, bowling and playing softball and tennis. Dr. Nelson remained active in publishing and teaching medical students until his death in 2006.